The fundamental right to health and healthcare is unequivocally recognised as applying to all human beings equally by international human rights law (starting with Article 25 of the Universal Declaration of Human Rights). The fact that States are required to recognise this basic right to everyone – and not only to their citizens – is also clearly spelled out in the 1951 Refugee Convention, which states that refugees should enjoy access to health services equivalent to that of the host population1Geneva Convention on the Status of Refugees, Articles 23 and 24. This is further clarified in a number of European directives2Such as Directives 2003/9/EC, 2004/83/EC, 2013/33/EU. In Italy, the right to health has been fully acknowledged only with the 1948 Constitution, which defines it as an universal and inalienable right, conferred not only to citizens and residents but to all individuals, including migrants3Italian Constitution, Articles 2 and 32.. Under the Consolidated Act on Immigration4Legislative Decree 286/1998, Article 34., all asylum seekers and beneficiaries of international protection are to be enrolled in the National Health Service (Servizio Sanitario Nazionale – SSN), where they enjoy equal treatment and full equality of rights and obligations with Italian citizens. The right to access to healthcare is acquired at the moment of the registration of the asylum request and remains applicable in the process of the renewal of the permit of stay. Furthermore, the right to access the healthcare system extends automatically to each regularly resident family member under the applicant’s care in Italy and is also immediately recognised for newborn babies of parents registered with the SSN. The Consolidated Act on Immigration also spells out5Legislative Decree 286/1998, Article 35 that “irregular migrants” are entitled to treatment in public health care facilities for emergency and essential treatments because of illness or accident, as well as to preventive medical treatment programmes aimed at safeguarding individual and collective health. That’s the theory. But how does it work in practice? Unfortunately, things are much more complicated. To start with, migrants in administrative detention – including those amongst them who have presented asylum requests – are often exposed to violations of their right to health. There are indeed numerous testimonies about the precarious healthcare conditions of the detention centres. 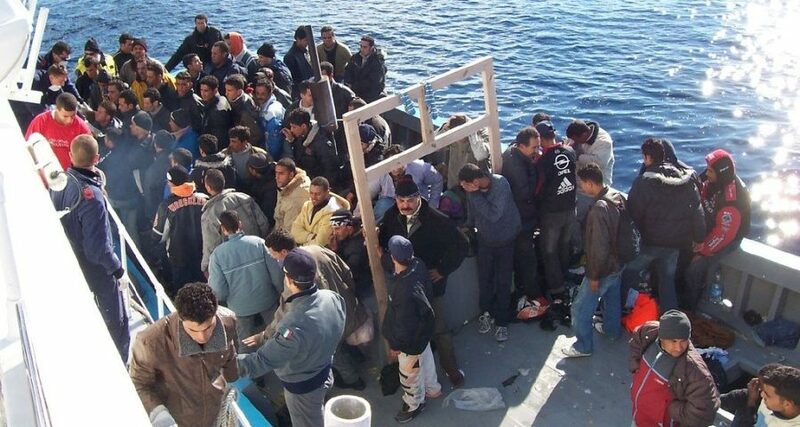 In particular, after having visited all the Centres for Identification and Expulsion (CIEs), the NGO Doctors for Human Right (MEDU) published a shocking report called “The CIE Archipelago”6http://www.mediciperidirittiumani.org/pdf/CIE_Archipelago_eng.pdf which, amongst other things, denounced the migrants’ “difficulty of access to care and diagnostic services within hospital facilities and national healthcare services; impossibility of access to centres by Local Healthcare Provider staff… and lack of specialised medical personnel”. Undocumented third-country nationals on the territory of the Italian state have access to health coverage through a specific system called “Temporarily Present Foreigners” (Stranieri Temporaneamente Presenti – STP), a short-term but renewable anonymous code that undocumented migrants can request at their Local Healthcare Provider (Azienda Sanitaria Locale – ASL). A similar system (Europeo Non Iscrivibile – ENI) ensures access to basic health coverage also to citizens of the EU who find themselves destitute and who do not have the requirements to register with the SSN (which is especially important for Roma people). Urgent and essential health treatments for undocumented migrants are guaranteed all over the national territory, but there are important problems deriving from the fragmentation of the concrete discipline of healthcare access – most importantly, over its scope – in the different Italian regions7As argued in a 2016 report by NGO NAGA on the effectiveness the health-care access legislation for undocumented migrants in Italy. Things are not much better for asylum seekers. As already seen, in theory beneficiaries of international protection and asylum seekers are entitled to access health care on equal grounds as Italian nationals in regards to coverage and conditions. In practice, for these subjects the effective access to the fundamental right to health and healthcare is quite complex and, furthermore, it greatly varies from place to place due to the significant fragmentation of the discipline (which is in the hands of local sanitary authorities and providers) and the many bureaucratic obstacles (as it happens with regard to the residence registration and for asylum seekers who, in the pending of their permit of stay application, only have the so-called “cedolino” attesting their application submission but still lack a social security number). It also important to underline how, similarly to what happens in detention centres, healthcare services provided in reception structures are also often insufficient and inadequate and, more broadly, the SSN itself struggles to deal with the specific needs of asylum seekers. One of the most relevant obstacles to access health services is indeed the cultural and linguistic barrier, as usually medical staff speak only Italian and there are no cultural mediators or interpreters to facilitate the mutual understanding between doctors and patients and thus the building of a trust relationship (although luckily there are some exceptions, with some health institutions equipping themselves to cater with the specific needs of these persons – such as is the case of the roman SaMiFo centre8http://centroastalli.it/servizi/progetto-samifo/ – a collaboration between the Italian chapter of the Jesuit Refugee Service Centro Astalli and Rome’s ASL – and San Gallicano hospital with its Institute for Health, Migration and Poverty9http://www.inmp.it/index.php/eng/About-Us/About-Us/NIHMP-National-Institute-for-Health-Migration-and-Poverty ). An especially critical point is that of the medical ticket exemption, as asylum seekers are treated under the same rules as unemployed Italian citizens: the ticket exemption is indeed valid at for six months from the asylum request and, after that, asylum seekers need to register in the registry of the job centres attesting their unemployment to maintain it. In 2015 the situation has been worsened, as – according to the interpretation of the Legislative Decree 142/201510Legislative Decree 142/2015 has reformed the Italian reception regime for asylum seekers in accordance with Directive 2013/33/EU – stating, amongst other things, that asylum seekers can work after two months from the submission of their protection request adopted by the Health Ministry as well as some local healthcare authorities and providers – the ticket exemption is now reduced to only two months, because after that asylum seekers are enabled to work. This state of affairs has been repeatedly denounced11http://www.asgi.it/notizia/asilo-diritto-salute-lettera-associazioni-ministero-salute/ by a group of Italian NGOs, who have also issued an appeal to the Government12http://www.asgi.it/wp-content/uploads/2016/01/Lettera-esenzione-ticket-richiedenti-asilo-Ministero-Salute_29.12.151.pdf asking for a reform ensuring medical ticket exemption for asylum seekers and all other foreigners in condition of vulnerability – in accordance with Article 17 of the Directive 2013/33/EU13Which, in its third comma, states that “Member States may require applicants to cover or contribute to the cost… of the health care provided for in this Directive… if the applicants have sufficient resources, for example if they have been working for a reasonable period of time”, as failing to do so means leaving extremely vulnerable persons unable to access essential services. The European Fundamental Rights Agency (FRA) has also warned14http://fra.europa.eu/en/theme/asylum-migration-borders/overviews/focus-healthcare that “[in Italy] implementation of the exemption from payment of healthcare fees encountered some difficulties due to several legal issues… and a range of different practices are observed across regions”, making cost of treatments and medicines an obstacle to healthcare access. To sum it up: for asylum seekers in Italy, the effective access to health care on equal grounds with Italian nationals is affected by a serious of issues, spanning from consistent administrative barriers and grave practical obstacles – such as the is cost of treatments and medicines – to the inadequacy of norms and resources (with the aforementioned chronicle lack of cultural and linguistic mediators posing a crucial impediment). There is still a long way to go to ensure that those seeking protection in our country are effectively enabled to exercise their right to health and access those health care services that are necessary for the well-being of their person and, often, also for the well-going of their asylum procedure. 3. ↑ Italian Constitution, Articles 2 and 32. 4. ↑ Legislative Decree 286/1998, Article 34.